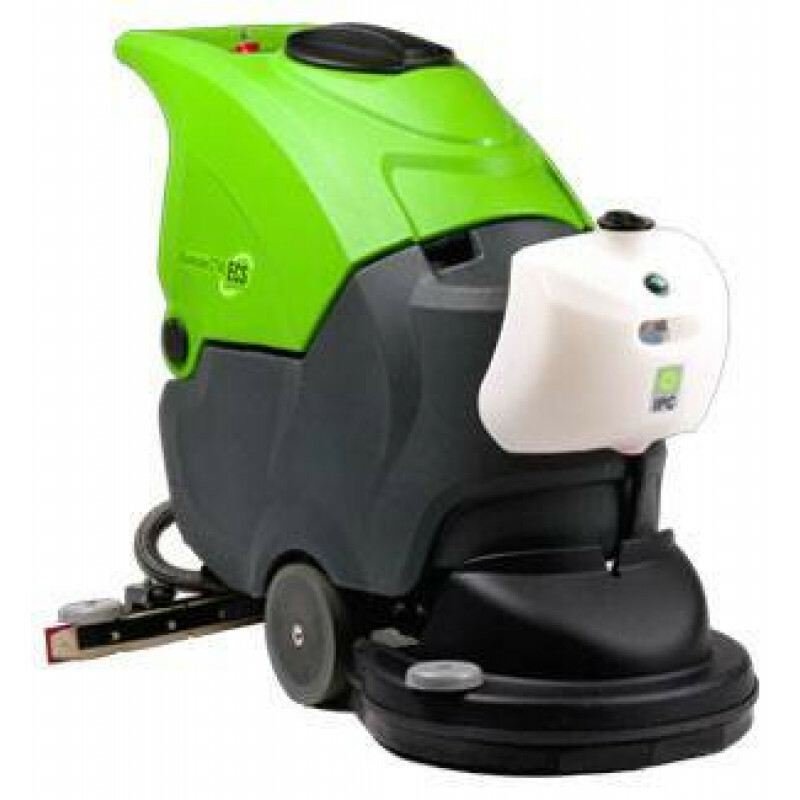 This award-winning CT40 eco-friendly floor cleaning machine is the first of a great new patented line of IPC Eagle commercial floor scrubbers that uses the EcoCost Cleaning Solution (ECS) which can reduce water consumption by up to 12,000 gallons, and save you over 250 working hours in one year! The ECS system utilizes the "Chem Dose Kit" chemical dispensing kit (included FREE) and a high speed microfiber floor scrubbing bonnet (sold seperately) which can reduce the use of water and chemicals up to 90% compared to traditional walk behind floor scrubbers. Just fill this machine once and the ECS doesn't need to be dumped and filled again which will reduce your cleaning time by 30-50%. 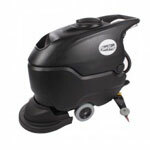 This revolutionary machine also features a high speed 600 RPM "Micro Scrub" system which allows you to clean as well as maintain the shine of your high gloss floor so it's like getting two machines for the price of one! The secret is it's "Micro Scrub" setting which ensures that the microfiber shine bonnet only slightly touches the surface, avoiding the irritating noise made by traditional automatic floor scrubbers. It's ideal for use in public settings such as hospitals, schools and offices where operating in quiet is essential. Reduce water consumption by 12,000 to 19,000 gallons per year. Save 80% - 90%. Reduce chemical consumption by 150 to 240 gallons of chemical per year. Save 80% - 90%. Reduce labor by 400 to 640 hours per year by reducing the amount of times you need to dump & refill the machine. Save 30% - 50%. Reduce pad waste by using micro scrub bonnets, which can be laundered & will last 2-6 months depending on the surface. Reduce chemical bottle waste by 30-150 plastic gallons containers per year.